Tired of looking at plain white walls and brown old furniture? Well, spice things up with these easy DIY ideas that will transfrom your room in a matter of seconds. Raise your hand if you love to read. 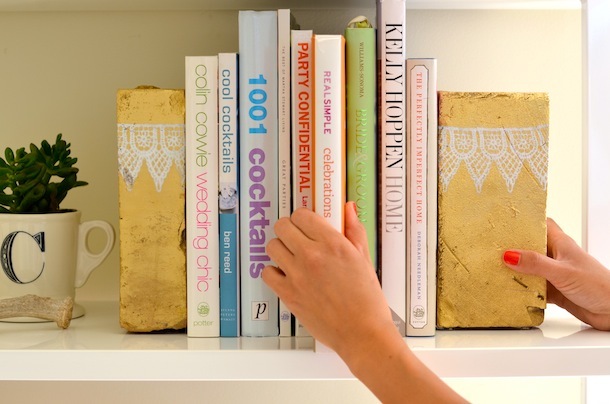 *Raises hand* So, why not add a little creativity to your bookshelves with these bookends? All you have to do is paint a pair of bricks (get 'em from the hardware store) with gold spray paint (or your fave color) then decorate the brick with pretty lace for that girly touch. 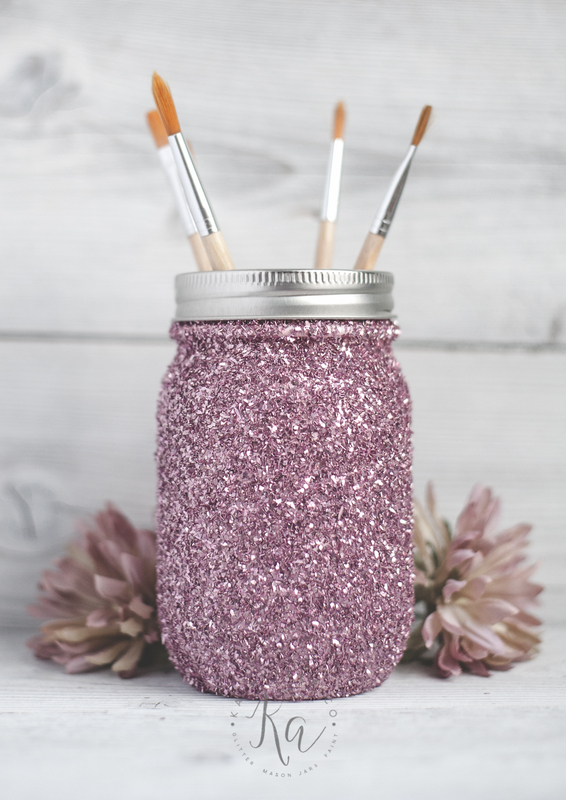 These glittery mason jars are the ultimate solution to a less than satisfactory room. The pop of color will make you feel like the glam queen, which you clearly are! To get these beautiful jars follow Sprinkled and Painted's easy tutorial. You didn't think clipboards were just for school, did you? You can glam up a boring wall in your room in seconds with clip art. 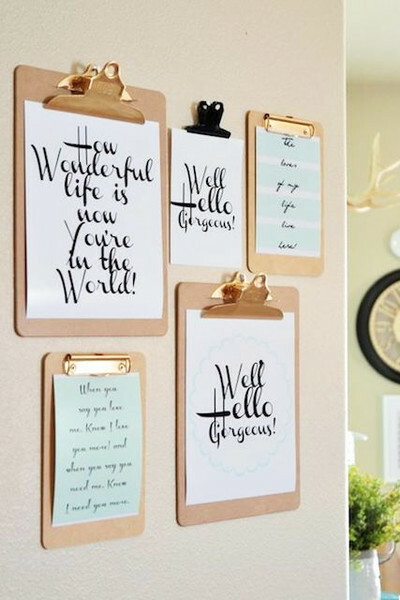 Simply buy a few pretty clipboards, print out some inspiring quotes or images (we heart these), and hang them on your wall using command strips. That's it! 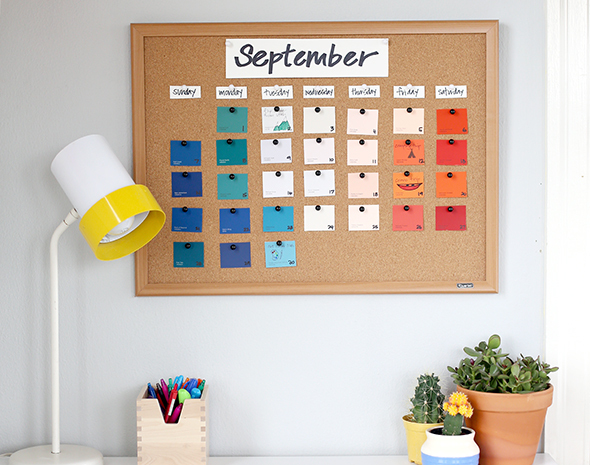 This calendar can help you keep track of your schedule and make your room a little more glam. It's super cute and easy to recreate. Just follow Say Yes's easy-to-follow tutorial. Say goodbye to tangled up chargers! Now you can charge your phone in style. 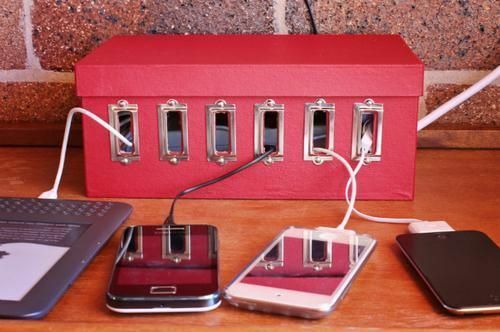 All it takes is a shoe box, a power strip, and an hour or two of creative fun. Check out the full tutorial here. How will *you* spruce up your space this weekend? Share in the comments below.